A non-oversampling DAC with a sound that combines the best of analogue and digital, and a great design aesthetic to boot? Do they know it’s Christmas? 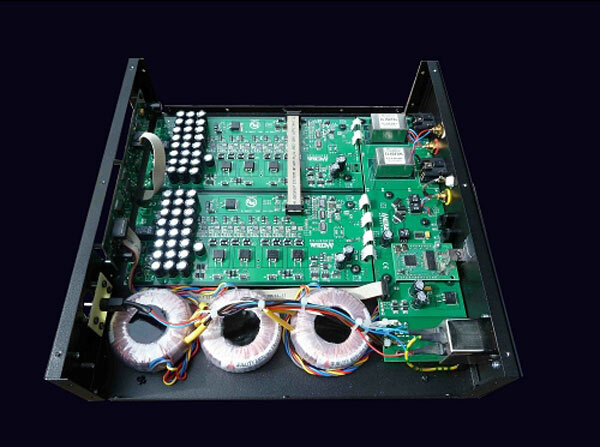 A RELATIVE NEWCOMER to New Zealand, Metrum Acoustics from the Netherlands joins a market brimming with high quality DA converters. We’re certainly spoilt for choice. Metrum is now available here thanks to Critical Sound Information, a small online company owned by Ian Brown of the Hawkes Bay. While I’ve found most DACs can have the same or similar basic sound (particularly within their relative price brackets), most brands do tend to have their own sonic flavour as well as their own strengths and weaknesses in certain areas of performance. Then there are those products that really do stand out from the rest, usually with specific design innovations which can result in truly magical music reproduction. Cees Ruijtenberg, owner and designer of Metrum Acoustics, decided late last decade that DACs just weren’t performing well enough for his tastes; sure they sounded good but, as he saw it, they just didn’t come close enough to sounding like a live performance. Through one of his contacts while working with electrostatic speakers, Cees was introduced to a home-built non-oversampling (NOS) DAC and while it wasn’t entirely impressive it proved to be one of those eureka moments, in which he perceived a more musical and engaging experience with the music. He decided non-oversampling was the way to go and testing proved – at least to him – that over-sampling DACs let through certain artefacts that could effectively degrade the eventual sound which reached the ears of the listener. It is worth noting that NOS DACs can tend to measure poorly while ironically, or perhaps paradoxically, sounding much better than the tests might lead one to expect. So while the concept of NOS was nothing new, Cees also believed that the DAC chips commonly used in NOS designs – the TDA1543 or the TDA1541 originally used in the ‘80s – weren’t up to the task of dealing with today’s digital workload and crucially, neither were the off-the-shelf modern chips, despite their obvious advantages. Thus, after a couple of years of searching, the man found his DAC chip – a professionally used industrial chipset which, I believe, cannot be revealed for obvious commercially sensitive reasons. Rigorous testing, designing and listening ensued. The Hex is the current flagship model and it shows for, while admittedly it is nothing particularly distinctive to look at, it is superbly built in every way with a range of inputs bound to satisfy even the fussiest audiophile. A thick silver aluminium front panel is home to the power button and the source select buttons: USB, AES/EBU, optical and 2x coaxial (one standard, one BNC); a blue LED above each button indicates what is currently in use. The Hex can handle the current range of sample rates up to 24/192 when using all but the toslink inputs which only go up to 24/96. Around the back, apart from the aforementioned inputs are both balanced XLR and unbalanced RCA outputs and an IEC power socket. The chassis is black metal with some of the best damping I’ve come across – tap it and sounds completely dead. The Hex is a decent size at 320 x 85 x 320mm (WHD) which is unsurprising given the nature of its design. Using eight of Cees’ industrial grade chipsets per channel and with one power supply for each channel, the Hex is true dual mono, the aim being a quiet noise floor with a detailed, involving and musical sound. I couldn’t wait to hear it. When I plugged the DAC into my PC laptop (after installing the drivers from the supplied CD ROM) I noticed my computer displayed the USB input as M2Tech. This is because the USB module, which is actually optional, is an off-the-shelf unit made by the Italian digital audio company M2Tech, although it is powered directly from the Hex power supply (that makes three transformers in total inside the Hex) rather than separately, for best performance. I used a variety of sources to test the Hex, namely my Logitech Squeezebox Classic, which wirelessly streams WAV and FLAC files from my laptop using the coaxial SPDIF out/inputs to the DAC, a NuForce CD8 as transport, also connected with SPDIF/BNC cable, my laptop via USB and an old Onkyo DVD player connected via optical. Ian from Critical Sound told me I must try the AES input, but regrettably I had neither the facility nor the cable to test this out; apparently it’s well worth trying, providing less jitter and noise, therefore presumably improving the sound even further. (NB: the AES input is an optional extra). I started out by using my trusty Squeezebox as this is my main digital source, and I’m thusly well accustomed to it. 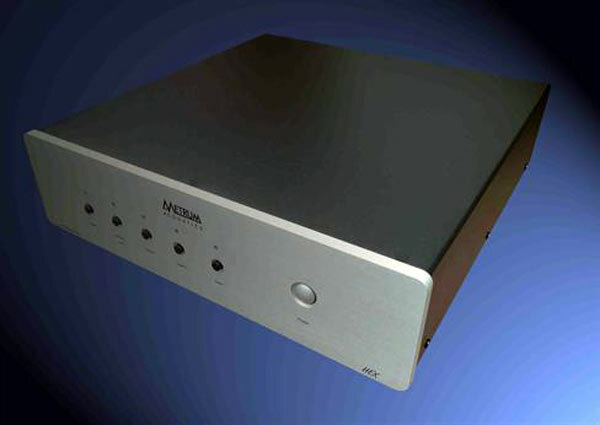 My own DAC is the much cheaper MHDT Labs Stockholm which is also a NOS design and universally described as being “musical and engaging”, if not the very best around, even in its price range. I’m personally rather fond of it though and I found comparing it to the Hex rather interesting. First up was ‘Reindeer Running’ from An Emerald City’s genius post-rock, psychedelic gypsy Circa Scaria album which I chose for its exhilarating drum and percussion intro, climactic chord changes and fast dynamics. The album was recorded live over two days in a large cave on Auckland’s West Coast, and the Hex gripped onto the immediacy and the fervour of the recording with stunning alacrity. Simply put, the drumming was amazing, absolutely breath-taking and quite literally brought goose bumps as the Hex pulled the drums into the room, reproducing them lightning fast with lifelike precision. As the other instruments came in, swathing the room in sound with a hot sharp rush of adrenalin, every dynamic shift, every chord change was a rush to the head, a release of sorts. I seemed to hear the ambience of the cave – the dark, the cold damp walls and ceiling were somehow discernible, adding certain colour and resonance to the music, but where many high end components can seemingly place too much emphasis on all the minor details like the sound of the room or the exact position of the performers, often becoming cold and clinical and ultimately uninviting, the Hex’s primary focus was the music. After all, when you’re at a live concert, the acoustics of the venue are very important but it’s the music that enraptures you and to which you give your undivided attention – provided of course there’s no munter standing in front of you thrashing his dreadlocks in your face. That isn’t to say that the Hex doesn’t give those insights which we audiophiles crave – the sound of the room or venue, the pin sharp micro-details, the holographic placement of performers. It most certainly does, but on top of that and foremost is pure musicality. The pace and timing exhibited by the Hex is remarkable, as demonstrated on The Oscar Peterson Trio’s ‘Goodbye JD’ and ‘D & E’ from We Get Requests where you are likely to have your breath taken away when you hone in on the rhythm section – drums and bass – and hear those musicians’ exceptional skill at keeping time to Peterson’s highly animated finger-work on his piano. And his piano sounded just lovely: in fact those were the words of my wife, a pianist herself, when she came in for a listen. It sounded so right – the timbre, the percussive after-sounds of the individual keys – and the other instruments were no exception, from the skin of the drums to the tight, controlled bass with its solid start-stop notes without overhang. The Hex emphasises the excitement of music and helps realise that feeling of pure elation one gets when listening to a truly great piece of music. It delivers a sound that is absolutely clean and clear – yes that noise floor is silent – and while there isn’t a valve or a stylus in sight, it’s not quintessentially digital in nature. No glare or grain, it’s damn close to sounding like a good analogue setup. Cat Power’s ‘We All Die’ from her second album Myra Lee with its darkly brooding melody and Chan Marshall’s imploring voice had slightly more ‘bounce’ than usual and the hard-hitting drumming was lit up and powerful. Marshall’s sounded more forward and in the room as though the Hex was inviting me to step into the recording and walk around her for a better look at everyone. Some of the grunge was noticeably smoothed over but the impact and tension of the track were still palpable. The Hex took no issue with any genre of music I threw its way and I was pleased to discover it rather revelled at playing a bit of metal, on this occasion in the form of English three-piece Valfader. Their stupendously good 2013 EP Whispers Of Chaos, which I can’t recommend more, is a great hairy dope-crazed beast crawling out of your skull and punching you repeatedly in the earholes. That is, after they’ve taken you by the hand and led you down a great undulating psychedelic golden path, lulling you into a sense of wonder before pounding your brain senseless. The Hex opened up a huge soundstage, drawing out previously unheard layers of detail and enthusiastic rhythm and timing. All the instruments melded together beautifully like the colours in a glorious painting, swathing the room in music. Speedy, chunky riffs and powerful bass and drums exploded into the room, fast and slippery like a maniacal otter, exciting tempo changes keeping the juices flowing. At times intense, the EP is not without rhythm and melody and the Hex latched on to those with its usual skill while managing to expose the intricacies of the music, allowing it, as a whole, to flow and ebb completely naturally. The soundstage was expansive and lit up with hints of warmth and loads of colour, the Hex again managing to pull more than usual out from the mix while maintaining that rhythmic urge in its bid to recreate the passion and immediacy of a live performance. It certainly did a better job of giving the music natural air, headroom and life than the worthy Stockholm. My MHDT Labs Stockholm DAC – and one of my favourites, the Line Magnetic LM-502CA valve DAC – actually perform pretty well compared with the more expensive Metrum Acoustics DAC, at least in as far as the differences aren’t embarrassing. But the Hex has a presence and resolution the cheaper DACs don’t quite manage; where the Stockholm, for example, is very much a “musical” DAC (I know that’s a terrible and unpopular term, but at least you know what I mean) with perhaps less emphasis on finer detail and bass impact, the Hex strikes an admirable balance, giving the best of all worlds. I enjoyed the way the Hex brought new life to my music, speakers bristling with coherent new layers of information, allowing performers to have their own individual spaces and their instruments to be heard in all their tonal beauty. Finer details like fingers squeaking on guitar strings, bums shifting on piano stools or even percussive sounds and electronic blips were coaxed further out of the mix while sudden dynamic shifts and transients were handled like a hot knife to butter. Whether I played plain old CD rips, high resolution downloads or MP3 files, the Hex didn’t let anything sound terrible, nor did it expose anything as being particularly terrible. MP3s sounded like the compressed little files that they are but were still enjoyable. CDs and CD rips sounded spectacular and the few high resolution FLAC files (of 96 kHz plus) I own sounded excellent, to the point where I started to wonder if I shouldn’t start buying a few more. High res music seemed to open up more, sounding especially more interesting – that is faster, detailed, more extended – in the upper frequencies. In fact the USB implementation in this case is possibly up there with the very best I’ve heard, that M2Tech being a real bonus. It’s not unusual for me to find the USB input on some DACs to be a little disappointing sounding – thin and uninvolving, at least when compared to the SPDIF inputs – almost as though the USB is added only as an afterthought. With CD quality audio I could find no major difference in sound quality between the USB and SPDIF (coaxial and optical) inputs. Using my cheap plastic DVD player with its optical output, I thought the sound was possibly a little closed-in and less resolved but really, it was still damn good – and by that I mean better than many well regarded CD players I’ve heard. Streaming wirelessly with my Squeezebox plugged into the DAC via coaxial out was also superb and compared surprisingly favourably with the NuForce transport; though I preferred the latter for what I perceived to be slightly better bass and richer tone. Basically, I think the Hex will slot nicely into any system, whether it be an “everyman” set up or something considerably higher end. I should mention that for those wanting something a bit cheaper but as comparatively high performing, I’m also reviewing the Hex’s little sibling, the Octave Mk II. My favourite DAC for the money is still the LM-502CA but the Hex offers justifiably more for not a big step up in price. Above all it is fun and exciting, providing great insight and rhythmic drive while keeping its focus firmly on the music. Its array of inputs gives scope for experimentation but if you’re not so inclined it’s a simple case of plug and play… and enjoy. Mostly neutral with delicious hints of warmth, the Hex is well-balanced across the frequency range with lively and engaging mid and high ranges and satisfying bass delivery; I’ve read that using the balanced in/outputs can improve things – particularly bass – further, so experimenting with that could be a worthwhile endeavour. The non-oversampling Hex is a most impressive package and I love the design philosophy and implementation – there’s always room for a little eccentricity in this game and I reckon this is one occasion when it has really paid off.